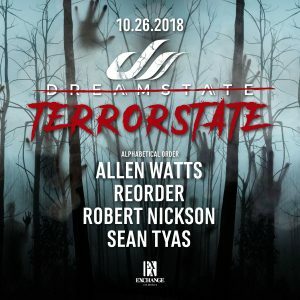 In just a few short years Allen Watts has caught the attention of the world’s DJ elite, having remixed for Armin van Buuren, appeared on countless compilations and been invited to perform alongside Aly & Fila for their FSOE 350 event in Poland to 15,000 fans. He is a regular on A State Of Trance radio and is responsible for a string of heavyweight releases. Born in Holland in 1980, Allen has always had a passion for electronic dance music. He began producing himself in 2009 and scored his first release in 2012 on Blackhole Recordings with ‘What May Come’. His second release ‘Split Second’ picked up support from Armin and paved the way forward.